A few years ago, rideshare apps like Uber and Lyft were clashing with cities over transportation regulation. Now on-demand, dockless electric bike and scooter rental startups like Lime (a partner with Uber), eCooltra, Bird Rides and other startups are popping up in cities across the country, causing headaches for pedestrians and city officials. Fans tout the convenience and flexibility of renting a bike or scooter via an app on your phone, but critics cite safety concerns and the nuisance of scooters left strewn across sidewalks. 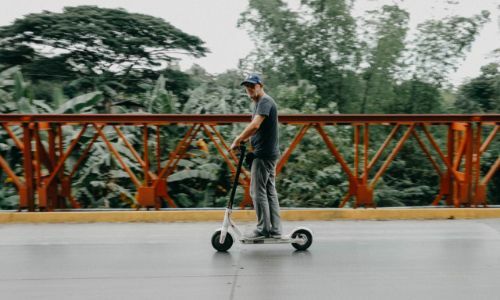 In fact, AI platform Nift conducted an online survey of 451 users (admittedly a small sample size) earlier this year and found that 59 percent said they had no interest or intention in using electric scooters. How are city officials responding to a sudden influx of dockless scooters and bikes? Is it generating revenue for the city through fines or legal settlements? (Bird reportedly paid more than $300,000 in fines to the city of Santa Monica.) What are the city’s primary concerns and how are these startups working to comply with regulations? How do local businesses feel? Get a pulse on brick-and-mortar businesses located in highly trafficked areas where these scooters or bikes are present. Are they seeing an uptick in foot traffic? Are they having to move scooters left blocking their entrance? Have dockless scooters and bikes been a boon or bust for them? What’s the environmental impact? At first glance, electric bikes and scooters might seem to be a more eco-friendly transit option than single-occupancy cars. But the equipment itself poses its own environmental concerns. When bike-sharing company Ofo pulled out of Dallas, a photo of discarded bikes piled high in a recycling facility sparked outrage over the waste. Consider talking to your local recycling facility about what it costs (in money and energy) to recycle each metal bike.